November | 2011 | Reserve Result. The Seventh Letter artistry clothing line is having a Black Friday Sale on Friday, November 25 at Known Gallery from 12:00pm to 7:00pm. It’s located at 441 North Fairfax Avenue ~ Los Angeles, California ~ 90036. On Saturday, November 19, graffiti artist POSE and photojournalist KC Ortiz unveiled Whitewash ~ their second exhibition at Known Gallery ~ and their most cohesive to date. For POSE, Whitewash references society’s attempt to eradicate graffiti and stifle human expression. “Shortly after I started writing graffiti, Chicago took an extremely hard-line stance on its eradication, outlawing the sale of spraypaint and implementing Mayor Dayley’s Graffiti Blasters program,” POSE explains. In the project room, KC will show 12 photographs of West Papua and Burma’s armed struggles. “The struggles are unified in their nature under the theme of resistance, the victimhood of whitewashing by the world at large, the beauty of their people, and the strength of the human spirit and dignity,” KC notes. Although not every artist is as attentive to fashion as Kanye West – style does make its way into their lives. Sometimes driven by practical purpose, other times by personal expression or as part of performance, fashion plays a role in the aesthetic landscape of many artists. In this episode, we talk with a diverse array of creators about the relationship of style and fashion to their lives and work. Featured artists include the songwriter Yuna from Fader Label, street artist WK Interact, skateboard deck and apparel designers 5boro, painter and toy designer Tara McPherson, and artist Casey Spooner of Fischerspooner. A Cleveland, Ohio native, Jonathan Mannion began capturing images of up-and-coming urban music superstars after working for a year with world-renowned photographer Richard Avedon. In 1996, he launched his professional career by shooting the photographs for the classic hip-hop album Reasonable Doubt by Jay-Z. In the years since, Jonathan’s photography has grown alongside the culture he so loves, helping to visually define an era of urban music. As DJ Quik once pointed out to him, the world sees hip-hop through his eyes. However, he is modestly circumspect about his role. I’m just a messenger, he observes, and I’ve been given a talent to document an extremely important era of music history. I have a love for hip-hop that goes back to when I was a teenager, and I feel blessed to have had the chance to shoot the artists I’ve worked with. I’ve had the opportunity to grow with them and the photos I’ve shot over the years have become visual bullet points of their creative evolution and mine. artist Quam Odunsi. 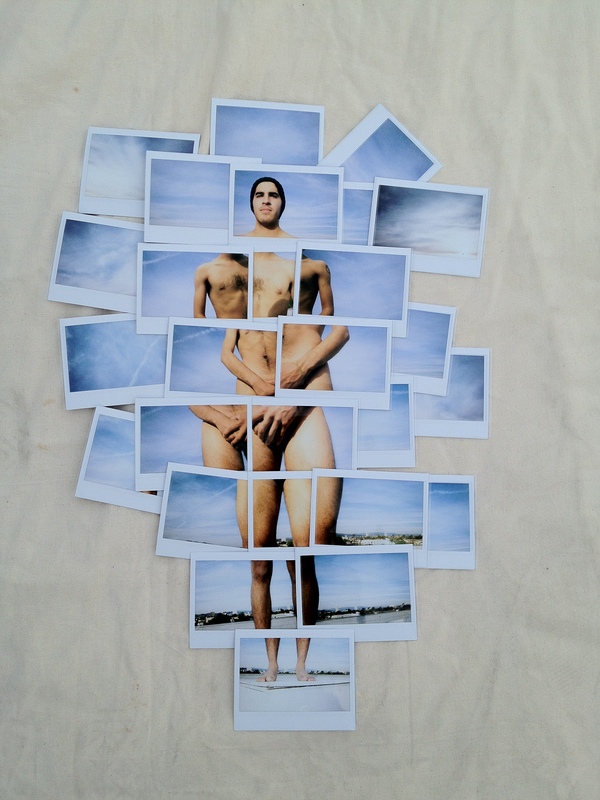 Polaroid Collage. Hold-Up Gallery.